Intel Teach helps K–12 teachers of all subjects engage students with digital learning, including digital content, Web 2.0, social networking, and online tools and resources. Intel Teach professional development empowers teachers to integrate technology effectively into their existing curriculum, focusing on their students’ problem solving, critical thinking, and collaboration, which are precisely the skills required in the high tech, networked society in which we live. Intel Teach Elements are free, just-in-time professional development courses that you can experience now, anytime, anywhere. 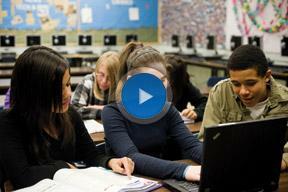 This series of compelling courses provides deeper exploration of 21st century learning concepts. Take this introductory course to understand the benefits and challenges of mobile learning and the components of a successful program. 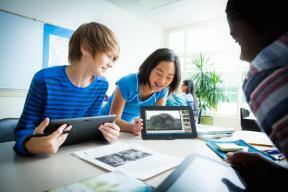 Learn what you need to consider when creating a mobile-learning environment in your classroom. This course builds on concepts introduced in Moving into Mobile. You’ll learn concrete ways to implement mobile learning effectively, while encouraging students’ creativity. Transition your teaching to blended learning experiences where some portion of learning occurs online and outside of a traditional classroom setting. Prepare your students for self-directed and independent learning. Transition from textbook science to authentic inquiry. 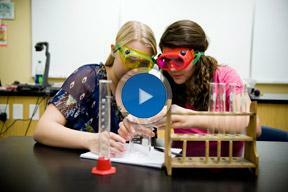 Explore ways to develop your students’ scientific thinking and practices. Examine critical thinking with a focus on data analysis. This course will help you prepare students to think analytically in our global, knowledge-driven world. Explore the features and benefits of project-based learning with classroom scenarios that help you to engage students with self-directed learning. Plan and manage collaboration activities that integrate online tools, which are increasingly an integral part of our digital, global world. Learn how school leaders can better use technology to help support teacher effectiveness and improve student achievement.